Today I arrived in Berlin, where I will attend the ITB, which starts tomorrow. I wrote a post about my decision, to take the train to Berlin some weeks ago and it was a long journey, but it was a pleasant one. Some remarks about the Deutsche Bahn: the staff is very friendly and they know what they are doing. I especially liked the guy from the board restaurant, who invited the passengers to visit his restaurant at every stop, in a quite funny way. What came as a surprise to me was, that the Wifi was not for free. Its rather difficult for people who are not customers of the German Telecom to use it. 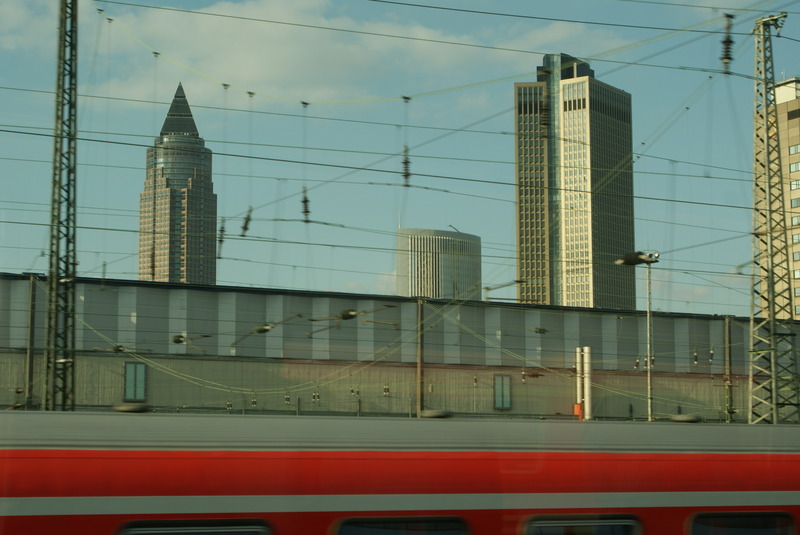 I was especially impressed by the Frankfurt Skyline, which can be seen from the train rather well. I have not seen to much of Berlin so far, as I only checked in at my Hotel and visited a sports bar to have some dinner and watch Arsenal vs Milan.